StarVR, a joint venture between Acer and Starbreeze, has proven once again that they lead the premium virtual reality scene with the creation of redefining VR headset with the StarVR One. StarVR One has graced itself as one of StarVR’s latest innovations during its launch at SIGGRAPH 2018. Some of its notable features are having head mounted display of nearly 100-percent human viewing angle, most advanced optics, VR-optimized displays, integrated eye tracking, and vendor-agnostic tracking architecture. Its creation truly gave a new definition of what’s possible to virtual reality and built the support ground for the demands of both commercial and enterprise sectors. Most must wonder how a StarVR one achieved to project a nearly 100 percent natural human vision. It was made possible all thanks to the 210-degree horizontal and 130-degree vertical field-of view feature. The unparalleled field-of-view supports a new, more expansive user experience and support for rigorous and exacting VR experiences such as driving and flight simulations. This innovation has made virtual reality very close to the looks of reality. The custom AMOLED displays serves up to 16 million sub-pixels at a rate of 90 frames per second bringing every tiniest detail visible to the eyes of the user. Coupled with the custom-crafted Fresnel lenses, users get to have a crystal-clear visual experience within the entire field-of-view. The state-of-the-art lens design and precision manufacturing ensures exceptional contrast and true clean colors in every VR experience. StarVR’s eye tracking technology, alongside the automatic measurement of Interpupillary Distance (IPD), instantly provides the best image adjusted perfectly for every user. The eye tracking technology enables the highest quality imagery pushed itself to the eye focus area whilst maintaining peripheral imagery. 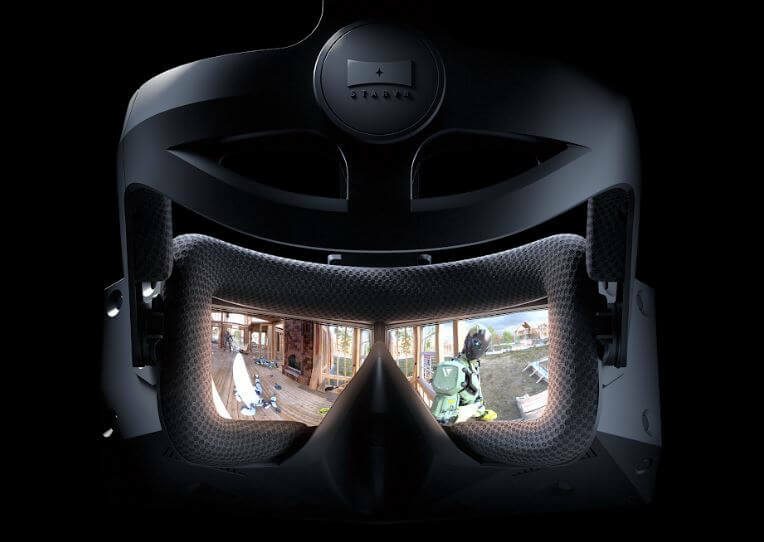 StarVR One eye tracking unleashes a new world of commercial possibilities to leverage user intent data for content gaze analysis and improved interactivity, including heat maps. StarVR’s headset is designed as user friendly possessing comfortable wearability. Weighing only 450g the headband evenly distributes the weight to ensure comfort even during extended sessions and longer use. The StarVR software development kit (SDK) makes developing new content or upgrading existing VR experience to StarVR’s premium wide-field of view platform seamless. Developers also have the option of leveraging the StarVR One dual-input VR SLI mode, maximizing the rendering performance to deliver the best image quality. The StarVR SDK API is designed to be familiar to developers working with existing industry standards and empowers them with feature sets beyond other platforms. Lastly, the development effort that has culminated in the launch of StarVR One has involved extensive collaboration with StarVR’s industry-leading technology partners, including Intel, NVIDIA and Epic Games.